With the new year upon us, I’ve been watching some of the new resort, cruises and general travel updates. It looks like it will be a great year for anyone that plans to take a vacation in 2018! 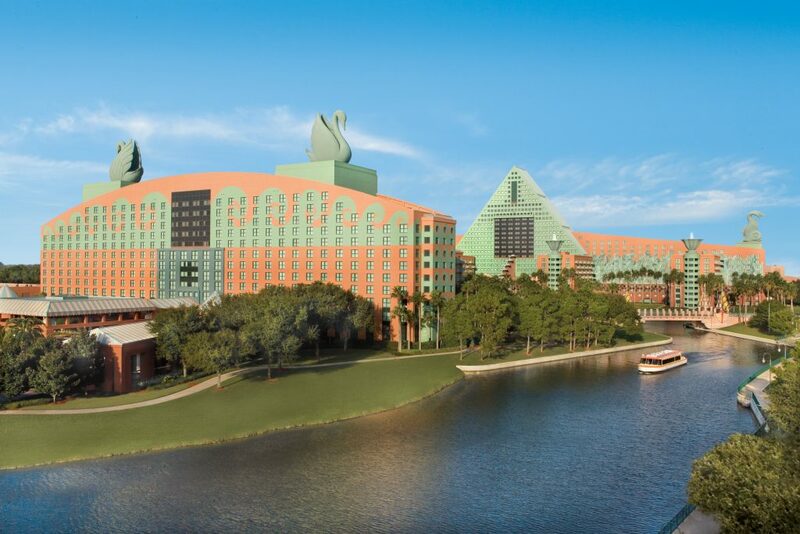 Disney World is unveiling new benefits for their guests at the Swan and Dolphin Hotels and the Disney Springs Resorts. With valid theme park admission, folks staying at B Resort & Spa, Best Western Lake Buena Vista, Double Tree, Hilton Orlando Lake Buena Vista, Holiday Inn Orlando, Wyndham Lake Buena Vista or Wyndham Garden will be able to take advantage of Extra Magic Hours. Swan and Dolphin guests will be able to book Fastpasses 60 days prior to their check in. 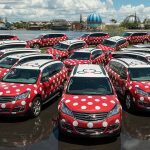 The new Minnie Van transportation will be in full swing in 2018. The new vans can be summoned by using the Lyft app. The vans are available for use at all Deluxe Disney Resorts. The cost is $20 per ride. Universal will be opening a new onsite, hotel. 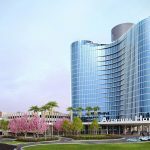 The Aventura Hotel is set to accept travelers in August, 2018. The modern style has commanding views of all three parks. The most exciting feature is the rooftop bar! 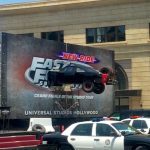 Arriving at Universal Studios Orlando spring 2018, join the Fast & Furious crew for a full-throttle, high-octane experience where you’ll be immersed in heart-pounding action. You’ll meet up with the team and check out iconic vehicles and memorable locations from the films. This sounds like a great family adventure! 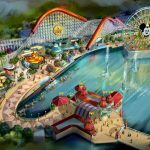 Disneyland’s California Adventure will be opening Pixar Pier summer 2018. This land will be open along the southern shore of Paradise Bay with new attractions, food and shopping. There will be 4 new neighborhoods representing Disney-Pixar stories. The Incredibles area will transform California Screamin’ to Incredicoaster. Toy Story Mania will anchor the Toy Story neighborhood. The Inside Out area will be found on the western side of the boardwalk. It will have several family friendly attractions. The fourth neighborhood will be a celebration of several stories. Mickey’s Fun wheel will have a new look with Pixar characters on the gondolas. 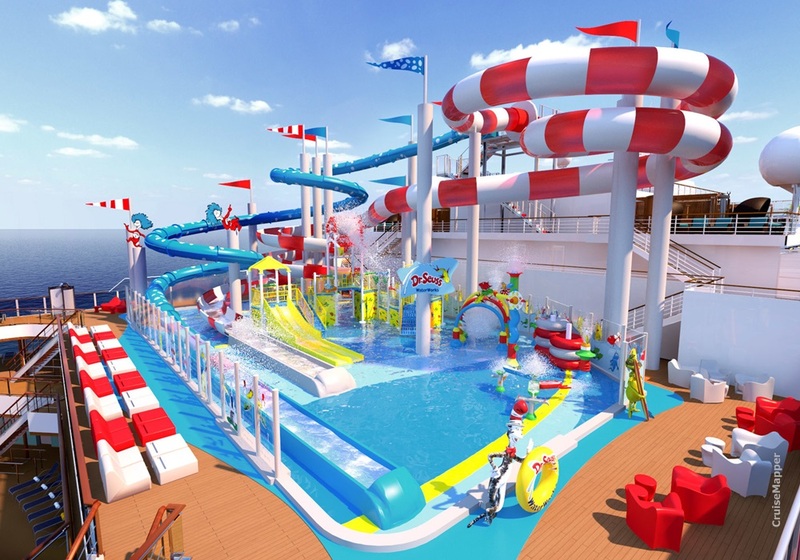 Carnival Cruise Line will be introducing Carnival Horizon, featuring SkyRide, the WaterWorks aqua park, and spa cabins. The ship will set sail on April 2, 2018 in Europe, and, following a series of four Mediterranean voyages from Barcelona, will offer Caribbean and Bermuda sailings from New York before re-positioning to Miami for year-round Caribbean service beginning in September. Celebrity Edge makes her first sailing Dec. 16, 2018 from her homeport at Port Everglades. This ship will have double the number of suites and have 2 new cabin categories that are 23 percent larger than the Solstic class. There are even staterooms that open to the water’s edge to give a closer connection to the sea. 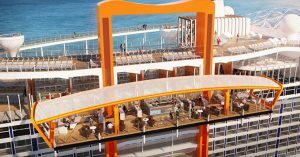 Celebrity will also debut the Magic Carpet, a cantilevered platform that moves up and down the ship’s 16 decks on the starboard side to deliver unique experiences. 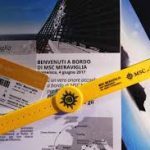 MSC Cruise Line is launching MSC for ME. This will debut on the MSC Mefaviglia, the line’s first next generation megaship . MSC for Me is an interactive technology tool designed to help guests stay connected while navigating throughout the ship. It can be accessed from a tablet, bracelet, onboard interactive screens or the app, and acts as a concierge, an organizer and a navigation device. Guests will be able to know what’s going on, what time and how to get there; they’ll be able to have 24-hour real-time access to a fully trained staff; create a personal agenda based on their preferences; and access a real-time cruise consultant to organize their day. 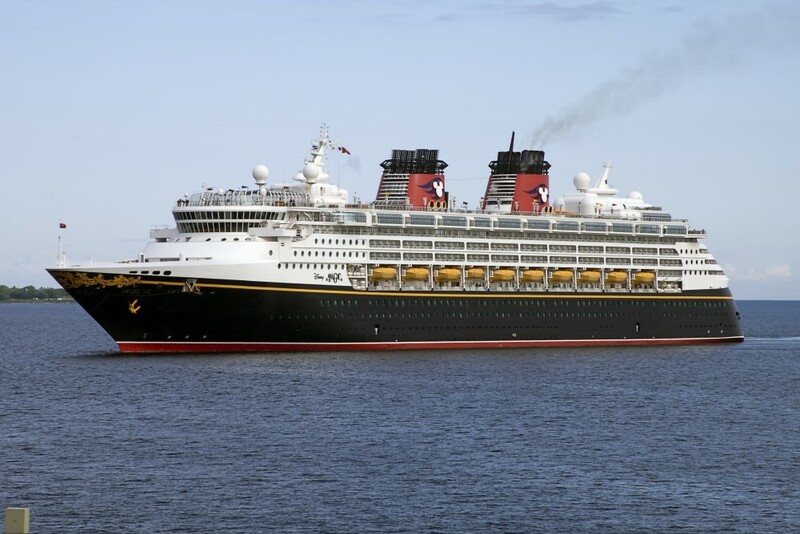 Disney Cruise Line will be setting sail in the newly updated Magic. Some of the changes will be the transformation of Vibe (the teen area) into a trendy urban loft. Teens can enjoy a new coffee and smoothie bar, play video and VR games or just hang out with friends. Rapunzel’s Royal Table will treat families to characters and live entertainment in the the kingdom of Corona. The family fun is complete with themed menus, special activities and an exciting parade. For adults on board the Magic, quiet relaxation will be found at the adult exclusive retreat, Cove Cafe. It’s the perfect place to sip specialty coffee or indulge in wine or a cocktail. 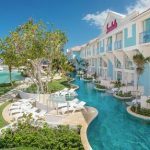 Sandals Resorts will be breaking ground on their Beaches Barbados in 2018. The new resort is set to open in 2020. It will join the other 16 resorts throughout St. Lucia, Jamaica, Antigua, the Bahamas, Grenada and Barbados. Sandals Montego Bay will be adding Super Luxe Butler Suites. Sandals Royal Caribbean has the fist over the water villas throughout the Caribbean. These look amazing! Royal Bahamian has new suites that run parallel to the water. You can jump in the pool from your room! Beaches (sister brand to Sandals) focus is on family. The new Beaches Turks & Caicos will be ready for guests starting in the new year. It features 12 miles of Caribbean sand and 45,000 square-foot water park! 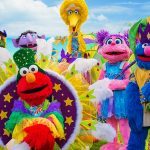 Sesame Street characters will be found roaming throughout the neighborhoods. The new property will showcase authentic Indian cuisine and 2 food trucks! 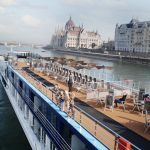 Adventures by Disney is getting into the River Cruise business by joining with Ama Waterways. Advebtyres By Disney will be sailing the European waters with the all inclusive vacations. You can truly customize your adventure! For example, try the new Beauty and the Beast theme experience on the Rhine River. You’ll be immersed in a tale as old as time during a special themed dinner, as well as other unique culinary experiences inspired by the film. Families will enjoy screenings of both the live-action and animated versions of the film onboard, and they can even choose to become part of this story as they tour Riquewihr, an idyllic French village that will make guests feel as though they’ve stepped into Belle’s hometown from the movie. When you are ready to travel, count on Our Laughing Place to get you where you’re going with ease. 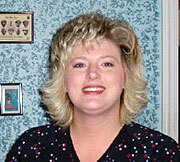 Our agents love to help folks experience every adventure and at the best price. And remember, there is never a fee for our services! So let’s get planning!